A pair of well-groomed and shaped eyebrows makes all the difference to your looks. To get the perfect set of eyebrows, you don’t need to be a professional but you will have to follow some basic rules when you are grooming your eyebrows. Use a regular mirror in conjunction with bright light. Light helps you have a good view at the extra hair. Once you do a few tweezes, step back and see the results from far, this avoids overdoing. For less painful tweezing, try to tweeze the brows after you have taken a hot water bath. Hair follicles open up and hence pulling them out becomes easy and less painful. 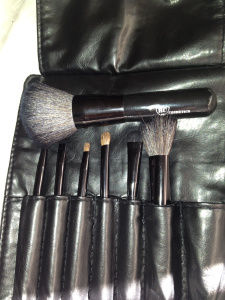 I WANT TO SHOW YOU THIS PRETTY LITTLE TRAVEL SET MAKEUP BRUSH SET FROM RC COSMETICS…. 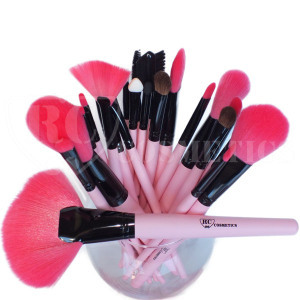 Anyone can get intimidated just by looking at the number of makeup brushes available in the market these days. We did not even use these many brushes for painting back in our school days! 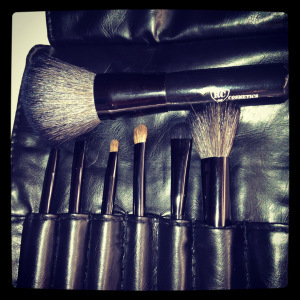 After using them all and researching on which are the brushes that I cannot survive without, here is a list of the 7 must-have makeup brushes that you would need to complete your kit. Is there a right way to apply concealer? One of woman’s best friends is undoubtedly concealer, and for good reason. This miracle cosmetic is perfect for covering up everything from dark circles to unsightly blemishes. However, many people are split on how to apply the makeup. Should concealeralways be used after foundation? Is cream better than powder? In actuality, the fact of the matter is that it’s purely up to you. Each person has her own preferences, meaning you shouldn’t dwell too much on your makeup routine! However, applying your concealer after using foundation can help you feel less naked and give you the flawless appearance you desire. 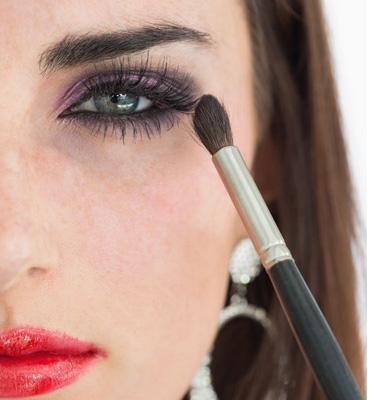 Use this trick to transform any eyeshadow into a long-wearing liquid eyeliner. Simply take some saline solution (the kind used to clean contact lenses) and squeeze a drop onto the back of your hand. Dip the end of an eyeliner brush or small angled brush into the saline just enough to moisten the brush — you may need to lightly blot the brush on a tissue if it gets too wet.